Halloween is a popular holiday around the United States. But sometimes families are on a budget and can't pony up $20 or more for haunted house admission fees or seasonal performances. For those who live in or around Louisville, there are plenty of free Halloween events to enjoy. From storytelling performances for little ones to horror movies for the older set, there is a Halloween activity for everyone. The Halloween Festival, Louisville's biggest free Halloween event, is an annual tradition. A street festival kicks off the day from noon to 9 p.m. with craft booths, local food, and live music. The crown jewel is the parade, which starts at 6 p.m. and features floats, decorations, and spooky ghouls walking down Bardstown Road. If you are in the festive spirit, you can wear a costume and jump onto the end of the parade. Plenty of candy is thrown from floats, so kids may want to bring a bag to carry all their treats. You can also join the annual zombie walk, if that's more your speed. The event will be held on October 6, 2018. At the Corn Island Storytelling Festival, you'll hear some great bone-chilling ghost stories. Parents need not fear—the tales told here are family-friendly, but they become spookier as the evening progresses. This festival also features live music and flame-grilled fare from local eateries. It is held at the Blackacre Conservancy on October 20, 2018. To celebrate Halloween, free scary movies are held annually at the Mary T. Meagher Aquatic Center. Although the movies are curated for kids, all children must be accompanied by an adult. Concessions will be open for the Halloween events, including film screenings. There's also trunk or treat and carnival games. At this Halloween celebration, the St. Matthews Area Chamber of Commerce and the City of St. Matthews offer games, hayrides, a petting zoo, a firetruck, bounce houses, and live entertainment, all for free. More than 50 businesses set up trick-or-treat stations for the kids. Brown Park is located 15 minutes east of downtown Louisville. Norton Commons is a suburb just 20 minutes northeast of Louisville. Here, your kids can trick or treat at area businesses, which is a safe alternative to trick or treating in the neighborhood. There will be music, face painting, inflatables, and more family fun. At the annual Jack O’Lantern Stroll, more than 5,000 people come out to see the 2,500 beautifully carved pumpkins lighting the way around St. Francis of Assisi church. Other attractions include Louisville’s largest pumpkin pie, team mascots, University of Louisville athletes, and live music. This historic street is quite popular in Louisville during Halloween season. In October, the neighborhood is filled with Halloween spirit (the family-friendly kind, not haunted spirit kind). 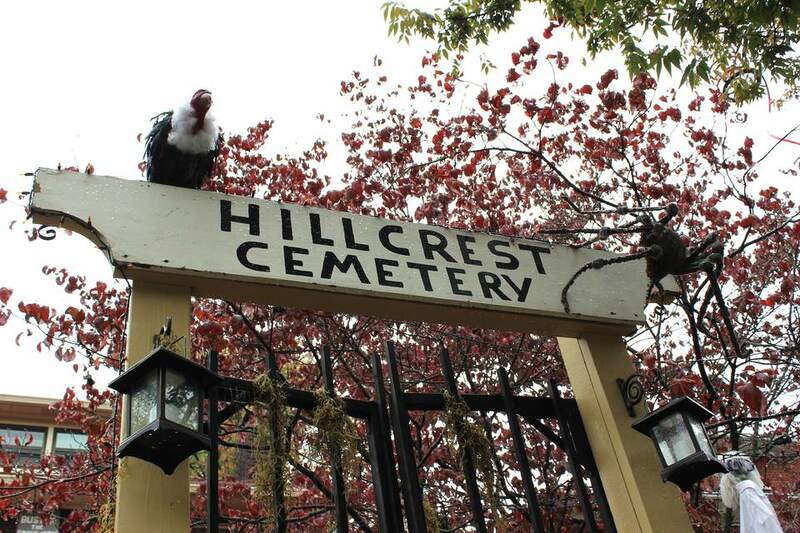 Included in the list of activities in this area are the decorated homes on Hillcrest Avenue, fall stories at the library and local bookstore, free chili nights, and a Halloween trolley hop. Wear a costume to any of the events or simply get out and enjoy seeing how everyone else is dressed.